The Glenrothes is distinct from many other single malts for several reasons. The whisky is mostly aged in used Sherry and Bourbon casks, which gives it greater richness and amplitude on the palate than other varieties of Scotch. It is also unusual in that most of the production (with the exception of the Select Reserve) is bottled as a vintage, rather than carrying an age statement. In the universe of Scotch, the conventional wisdom is that single malts and blends appeal to totally different audiences. Since there is little similarity between the two products, this makes perfect sense. Another cliché is that single malts resonate primarily with wine drinkers, which also seems logical. There are many parallels between the two worlds. Single malts subscribe to the notion of terroir: The flavors of the spirit vary from region to region and even from distillery to distillery, depending on factors such as soil, climate and the quality of local water. They present a complex range of styles for the consumer to master, and offer a sense of connoisseurship on various levels. Less fully understood is the market relationship between single malt and blended Scotch. Most single malt properties are controlled by large companies, and they make far more whisky than is available to the public. 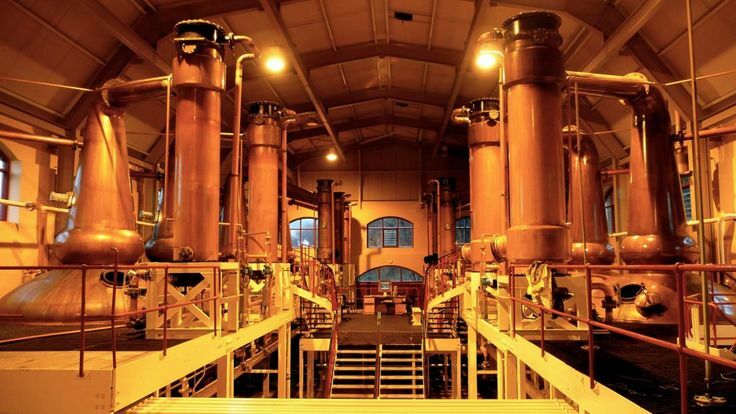 Diageo, for example, owns 27 working single malt distilleries and 16 shuttered distilleries. They market ten major brands of blended Scotch, including Johnny Walker, J & B, White Horse, Vat 69 and Haig. A great deal of single malt Scotch is required for those blends, leaving a tiny amount for sale to connoisseurs. This consolidates supply and demand within the same closed system, and insures that the malts released for general sale will be both expensive and difficult to obtain. All of which brings us to The Glenrothes. The distillery was built in 1878 by James Stuart, who had worked at The Macallan and eventually became the owner. For his water source, Stuart chose the Burn of Rothes, a stream located several miles outside the town of Rothes in Speyside. 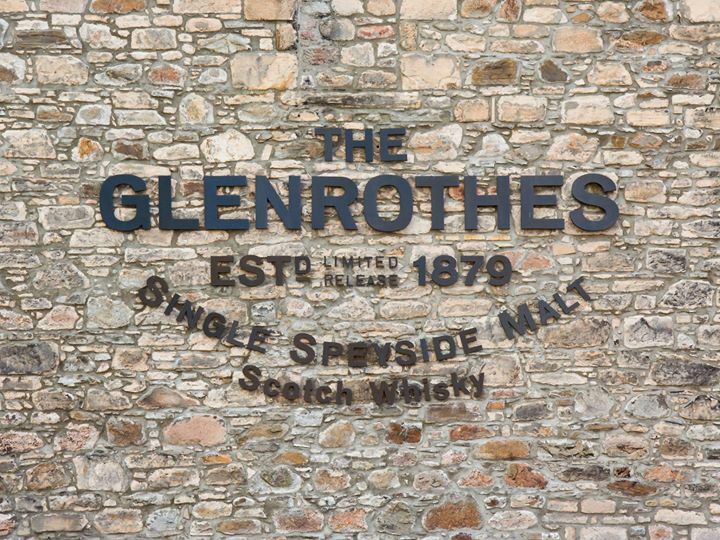 For the first century of its existence, The Glenrothes sold all its whisky for use in blends. The distillery changed hands several times, and was acquired by Berry Brothers and Rudd in 2010. Today, a large portion of the whisky made at The Glenrothes still goes into the blends of The Famous Grouse and Cutty Sark (the Cutty Sark visitor’s center, in fact, is located on the distillery grounds). From the 1990s onward, however, the owners recognized the value of a number of splendid casks of old whisky that had been aging for decades. With the exception of the Select Reserve, which is bottled without an age statement, the majority of the single malt released under The Glenrothes label is vintage-dated---one of the few Highlands distilleries to do so. The Select Reserve ($45; 40% ABV) is a combination of different aged casks, none younger than 1998, developed by Malt Master John Ramsay in an effort to create a house style. It has an exotic, complex nose of citrus, Oriental spices and hints of fermented lychee. The whisky is sweet on entry, and this sweetness carries over into the mid palate; it is ripe and charming, exhibiting spicy flavors of orange peel and lemon zest set against a rich and pleasing texture. The citrus peel lingers on the long finish, along with hints of pepper. This is a lovely whisky---a single malt Scotch for people who think they don’t like Scotch. At Glenrothes, they believe that “whisky is a bit like people” in the sense that maturity is what counts, rather than age (they appear to be optimists). The 1988 ($130, 43% ABV) was bottled in 2009. The nose is sweet and ripe, beautifully scented with citrus, honey, coffee and spice. Despite that, the entry is all about pepper, with profound orange flavors emerging in the middle; both intertwine on the distinctive finish. The 1978 ($425, 43% ABV), bottled in 2008, is making its first appearance in the U.S. The nose is leaner and spicier than the 1988, with the same characteristic citrus and vanilla notes paired with aromas of pepper. It is even spicier in the mouth than the nose indicates, with a deep and penetrating palate imprint. The citrus emerges again on the finish, which is particularly long and memorable.